My Lupus symptoms included severe inflammation of my palms and soles, sometimes so extreme that I could hardly hold a pen or put on shoes. A symptom my doctors hadn’t seen before and couldn’t properly manage with medication. I’ve also had Raynaud’s for 10 years which again is very painful and uncomfortable, and I started wearing gloves to prevent attacks. Unfortunately MY medical doctors failed to mention that nutrition and exercise are a huge influence for your over-all health and fitness. 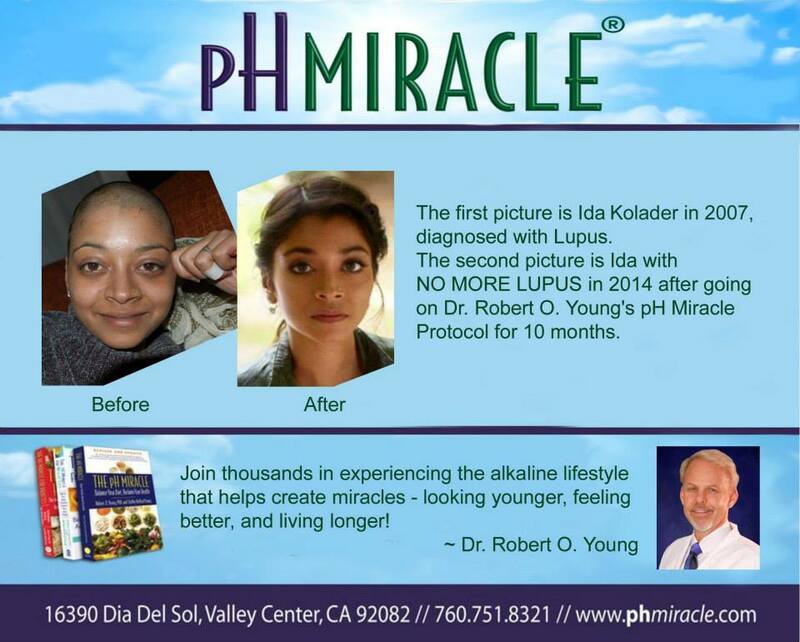 Within 2 weeks of transitioning to The pH Miracle alkaline lifestyle diet my palms and soles cleared up and didn’t hurt anymore. This was the first winter (2013) I only needed gloves just once! 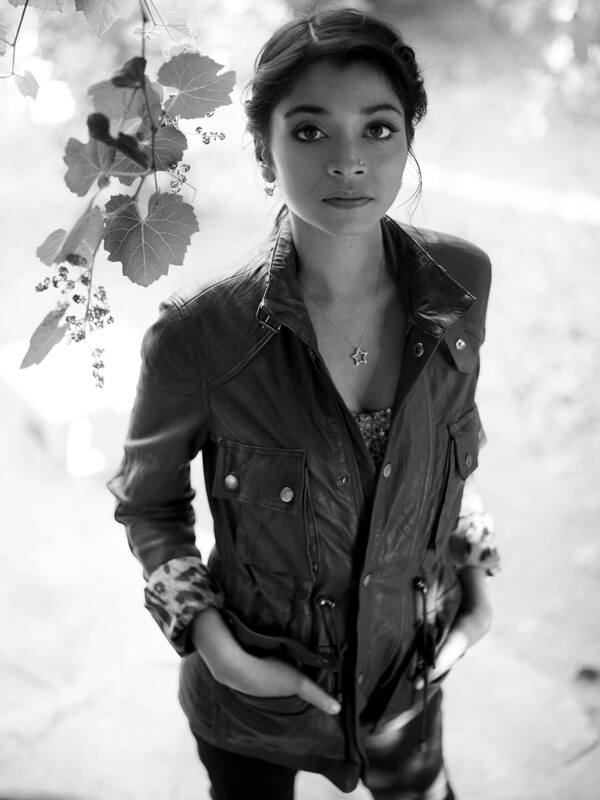 And yes, I know, it wasn’t a cold winter but that never really mattered before. I could barely go outside without gloves and had several pairs lying around the house and in my car just to make sure I always had a pair available! Below, you will see several pictures of me and my hands. Why? Because the hands NEVER lie! The first picture is me before starting the pH Miracle Protocol and after chemotherapy, plaqeunil and monthly IVIG iv’s! The second picture is a picture of my hand 1 week before I went to Dr. Robert O. Young’s pH Miracle Detox Retreat Center at Ti Sana, in Areta/Como, Italy, to start His alkaline lifestyle and diet. The third picture is a picture of my hand after 2 weeks of following Dr. Young’s pH Miracle Detox Protocol. The third picture is a picture of my hand after 9 months of following Dr. Young’s pH Miracle Protocol. 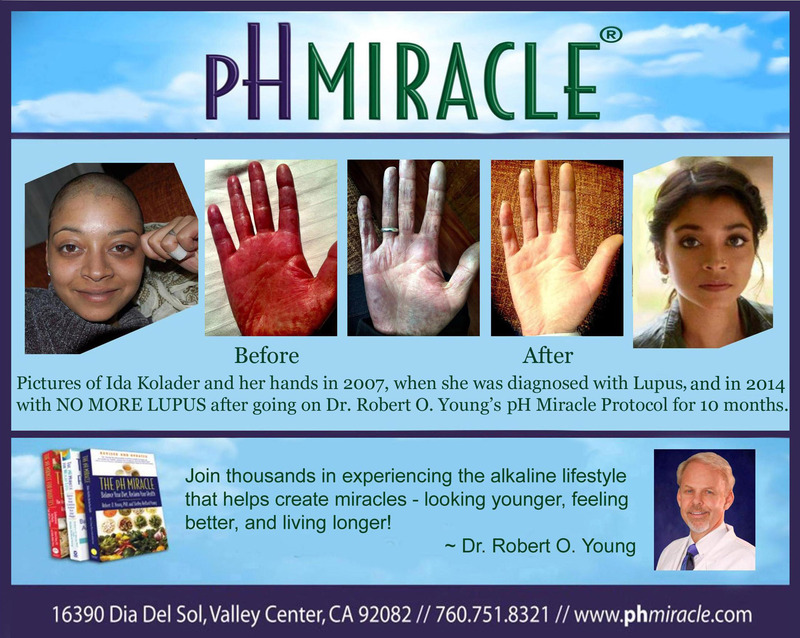 The last picture was after 12 months of following Dr. Robert O. Young’s pH Miracle Detox PROTOCOL free of ALL LUPUS SYMPTOMS and completely free of ALL CONVENTIONAL DOCTORS AND ALL BIG PHARMA DRUGS! Please read and share this post with everyone you love and care about. There is a self-care to a self-cure for Lupus! One last thing! Please watch and share my documentary on Lupus with the World so the millions of Lupus suffers can NOW KNOW there is a SELF-CURE FOR LUPUS!!!!!!!!!!!!!!!!!!!!!!!!!!!!! !